LaNelle Phillips, 91, of Grand Prairie and formerly of Madisonville, went home to be with her Lord and Savior Jesus Christ April 3, 2019 at her home in Grand Prairie. A celebration of her life will be held at 2 p.m. on Saturday, April 6, 2019 at Madisonville Funeral Home in Madisonville, Texas. Interment will follow in Oxford Cemetery, west of Madisonville. A brief visitation will take place before the service at 1p.m. Joyce LaNelle Keefer Phillips was born on March 16, 1928 in North Zulch, Texas. She was the daughter of Otho and Sudie (Isgitt) Keefer. She graduated from Robert E. Lee High School in Baytown and attended Sam Houston State Teachers College in Huntsville, where she met her husband of 62 years, Billy Phillips. They lived in Houston for more than 20 years. A devoted homemaker, LaNelle also taught kindergarten at First Baptist Church South Houston and enjoyed baking wedding cakes. Following Billy’s retirement in 1976, they built a home west of Madisonville on land that had been in LaNelle’s family for more than 100 years. She continued teaching, working as a substitute whenever needed. LaNelle was instrumental in founding the Sonshine Center in Madisonville and served on its Board of Directors. She also volunteered with the Retired and Senior Volunteer Program (RSVP) and was a member of the St. Joseph’s Hospital Auxiliary, knitting caps for newborn babies. Additionally, LaNelle served alongside her husband inspecting nursing homes. While living in Madisonville, LaNelle was a faithful member of First Baptist Church where she taught Sunday School. She later moved to Grand Prairie and became a member of Hillcrest Baptist Church in Cedar Hill. LaNelle was preceded in death by her parents, her husband and her brother, Elbert Keefer. 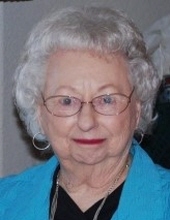 She is survived by her daughter, Brenda Aigner (Stephen) of Grand Prairie; son, Donald Phillips (Patricia) of Madisonville; sister, Vela Adair (Robert) of San Antonio; grandchildren, Jennifer Bryant (Matt); Erin Campbell (Adam); Jarod Phillips (Shannon); Jonathan Aigner (Kelsey); and great-grandchildren, Emma Bryant; Grace Bryant; Clara Campbell; Becket Campbell; Ava Campbell; Theodore Aigner and Violet Aigner. To send flowers or a remembrance gift to the family of Joyce "LaNelle" Phillips, please visit our Tribute Store. "Email Address" would like to share the life celebration of Joyce "LaNelle" Phillips. Click on the "link" to go to share a favorite memory or leave a condolence message for the family.